Working as the house mind reader at America's oldest magic bar the safe-house Scott has developed a series of hard hitting effects that can be performed with little or no props. 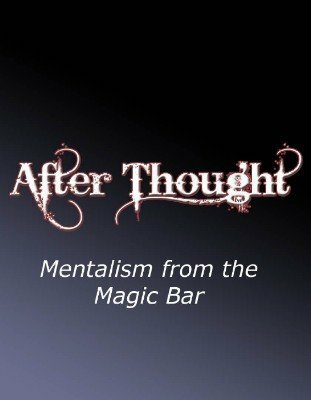 This is ebook one of a series of books that will explore the various effects he has developed over the past few years hustling customers at the magic bar. In this ebook Scott is proud to reveal the secret to his "New Grail" effect. Where the mentalist lays out five ESP Zenner cards, the spectator does the same, and even though the mind reader laid his down first, all the cards match in the correct order. This has been the one secret he has kept close. It's not an easy one so some knowledge of card moves helps. New psychological forces with practical hard hitting effects wraps up the "Dining Out" effect. 100% sure fire and extreme! Other effects such as "Tasty" and "By Any Other Name" are unique hard hitting mentalism that Scott collected from a real Seance medium!